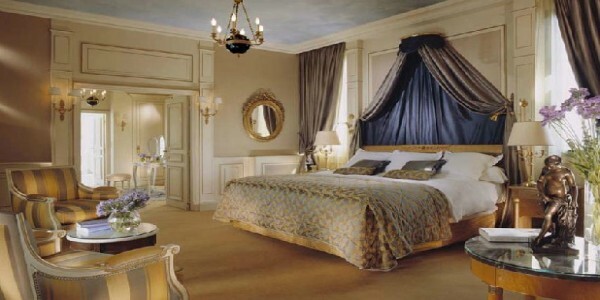 The Hilton Arc de Triomphe Paris hotel sits among iconic Paris landmarks, 10 minutes’ walk from the Champs-Elysees. Indulge in the mosaic-decorated spa or stroll the Andalusian Patio garden. 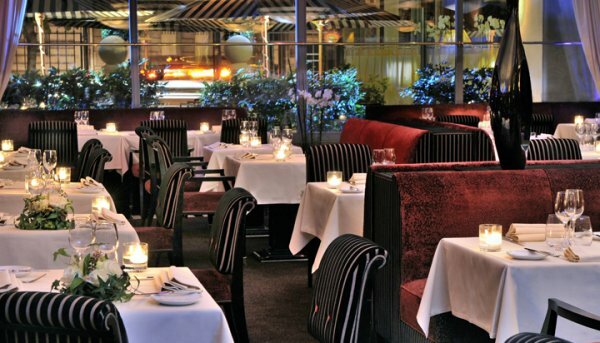 The Executive Lounge offers sweeping Paris views. Work out in the fitness room, indulge in the spa, dine alfresco at Le Safran or sip a cocktail in the Art Deco-style Purple Bar. 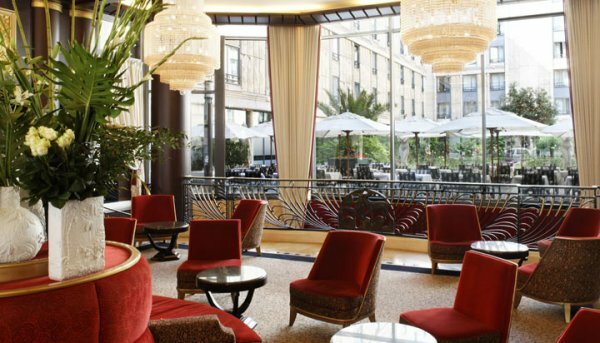 Stroll the Andalusian Patio gardens at the Hilton Arc de Triomphe Paris hotel or explore Paris attractions. 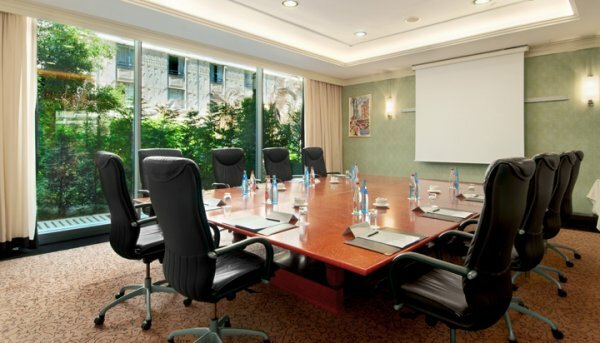 The Hilton Arc de Triomphe Paris hotel has 19 meeting rooms for 10-800, a business centre and Executive Lounge. 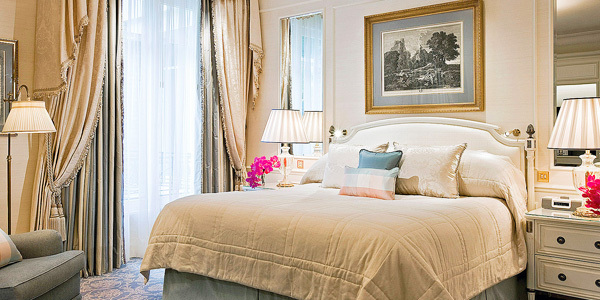 From Family Guest Room to Executive Room to Presidential Suite, all our hotel rooms are designed in Art Deco style. Relax in the chic, tranquil surroundings of the Spa Mosaïc at the Hilton Arc de Triomphe Paris hotel. Soothe away your worries and woes in the steam room or sauna, or take a break in one of ten treatment rooms and choose from an array of revitalising treatments, from fabulous facials to rejuvenating hydro-tonic baths. Let our expert staff breathe life into your tired limbs with an invigorating deep tissue massage, or simply sit back with a cup of herbal tea in the tranquil relaxation area. 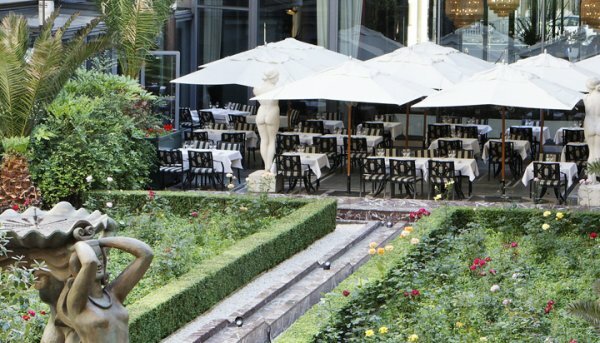 An oasis of tranquillity in the heart of Paris, the fabulous Spa Mosaïc is the perfect place in which to rejuvenate after a day spent sight-seeing in the capital, and offers a heavenly haven for stressed-out business guests in town for conferences, meetings and events. 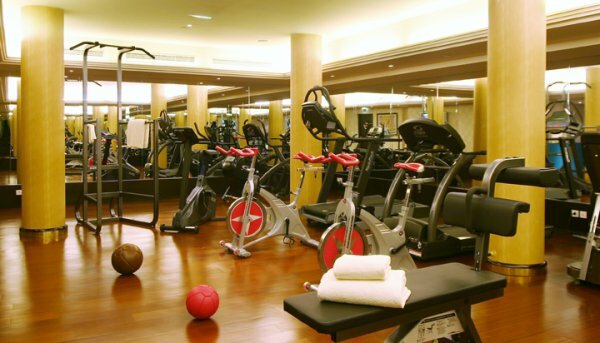 Keep up with your fitness regime in the Hilton Arc de Triomphe Paris hotel’s air-conditioned Fitness Room, the perfect place to work up a sweat and burn off calories after a day indulging in the famously fabulous French food. Guests at the Hilton Arc de Triomphe Paris hotel enjoy complimentary access to the fully-equipped Fitness Room, which is open 24 hours-a-day, seven days-a-week. Get your heart-rate up with the state-of-the-art cardiovascular and weight training equipment, or go for a run on the treadmill while watching your favourite shows on the TV screens. Or why not utilise the services of our personal trainer, who is available for guests looking to develop a tailored fitness program, or simply seeking expert advice or added motivation to get active and get in shape. 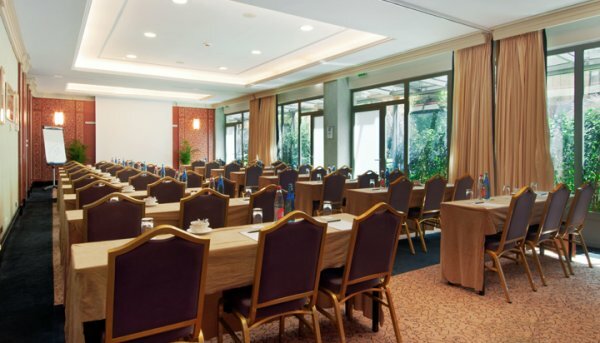 Located just thirty minutes’ drive from the main airports and 15 minutes from the Eurostar terminal at Gare du Nord, the Hilton Arc de Triomphe Paris hotel is ideal for conferences, exhibitions and corporate team building exercises. Book one of our stunning banqueting suites and enjoy the renowned Hilton dedication to exemplary service, as well as a wide range of dining options from the incredible Le Safran Restaurant and chic Purple Bar. Located in the world’s most romantic city, the Hilton Arc de Triomphe Paris is the perfect venue for your dream wedding. Choose the Hilton Arc de Triomphe Paris hotel for your dream wedding and enjoy a fabulous location in the heart of the world’s most romantic city. Our fabulous banqueting suites are capable of hosting anything from intimate family gatherings to extravagant wedding receptions for up to 350 guests. For an elegant large-scale event, choose the Hilton Arc de Triomphe Paris hotel’s opulent Normandie Ballroom, which boasts a private reception area, foyer and vestibule. Select from a wide array of catering options, from delectable hors d’oeuvres and finger-food to exquisite three-course gourmet dinners; we’ll even help you to choose from our extensive wine list to perfectly complement the gourmet cuisine. Keep up-to-date with work during your stay at the Hilton Arc de Triomphe Paris hotel, with our well-equipped Business Center – ideal for discerning business travellers seeking to stay productive during their time in the French capital. With a fast and convenient copy service, fax machine and high-speed internet access, the Business Center at the Hilton Arc de Triomphe Paris hotel is the perfect place to keep in touch with colleagues, or to send a last minute fax or email before the markets close. 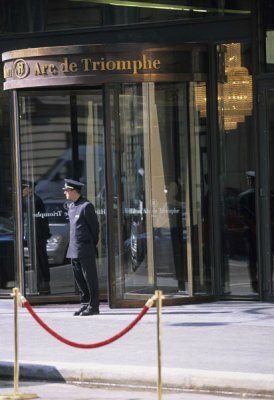 Thirty minutes from the city’s main airports, the Hilton Arc de Triomphe Paris hotel boasts 19 meeting rooms capable of accommodating up to 650 guests, and features a plush Executive Lounge (for guests staying in Executive Rooms and Suites), perfect for Parisian professionals and overseas corporate guests. 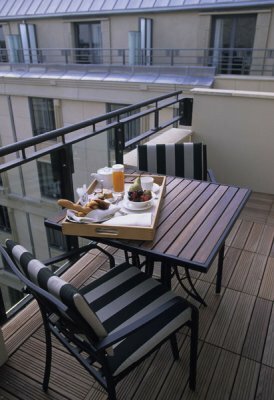 Unwind in your stunning Art Deco-style King Guest Room Patio View at the Hilton Arc de Triomphe Paris hotel, which features a luxurious king-size bed and high speed wired internet access. Beautifully decorated with clean lines and chic modernist furniture, the spacious King Guest Room boasts an LCD flat screen TV with video games and on-demand movies, plus a snug complimentary bathrobe and slippers. Unwind in the plush marble bathroom, catch up with business at the convenient workspace, or enjoy delectable Parisian cuisine from Le Safran Restaurant, with the Hilton Arc de Triomphe Paris hotel’s fantastic Room Service menu. 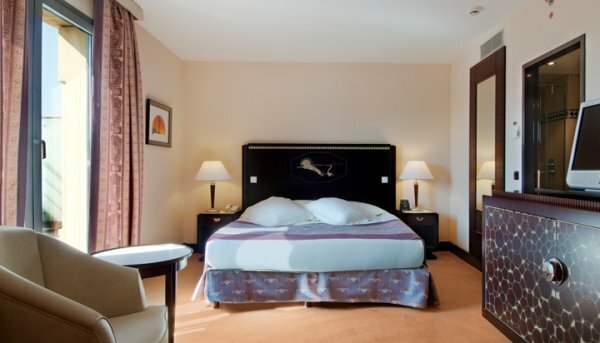 Stay in the spacious Double Double Superior Room at the Hilton Arc de Triomphe hotel, which boasts two luxurious double queen-size beds and is furnished in chic Art Deco style. This bright 30m² room can sleep up to four persons, and features high-speed internet access, on demand video games and movies, and a comfortable bathrobe and slippers. Relax in the marble bath of your luxurious bathroom, catch up with work at the convenient desk and chair, or enjoy delectable Parisian cuisine from Le Safran Restaurant, with the Hilton Arc de Triomphe Paris hotel’s fantastic Room Service menu. Enjoy comfort, functionality and distinctive Art Deco style in the Hilton Arc de Triomphe Paris hotel’s King Guest Room Plus. Watch an on-demand movie on your LCD TV, keep in touch with family and friends with high speed internet access, or simply unwind in your bright marble bathroom with a relaxing bubble-bath. Featuring a chic modernist design that recalls the refined Art-deco style of the 1920s and 1930s, the Hilton Guest Room Plus boasts a luxurious king size bed and double windows with stunning views of the hotel’s Andalusian Patio gardens, a lush, verdant oasis in the heart of Paris. Experience the distinctive style and exemplary functionality of the Hilton Arc de Triomphe Paris hotel in your spacious King Deluxe Room. 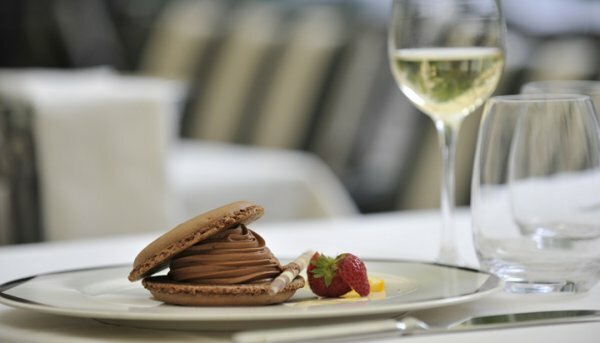 Keep in contact with family, friends and colleagues with high-speed internet access, or enjoy a romantic meal for two from the Hilton Arc de Triomphe Paris hotel’s fantastic Room Service menu. Artfully-furnished with authentic Art Deco embellishments, this bright and airy 30m² hotel room offers complimentary access to the wet zone of the hotel’s gorgeous mosaic tile Spa, as well as high-speed internet access, an LCD TV with on-demand movies and video games, and a comfortable bathrobe and slippers. Enjoy fabulous Art Deco style and wide range of amenities in your King Deluxe Plus Room at the Hilton Arc de Triomphe Paris hotel. Redolent of chic 1930s Paris, the King Deluxe Plus Room features fashionable furniture a number of tasteful embellishments. Your 30m² room features an abundance of natural light, with double windows offering spectacular views of the lush Andalusian Patio gardens. 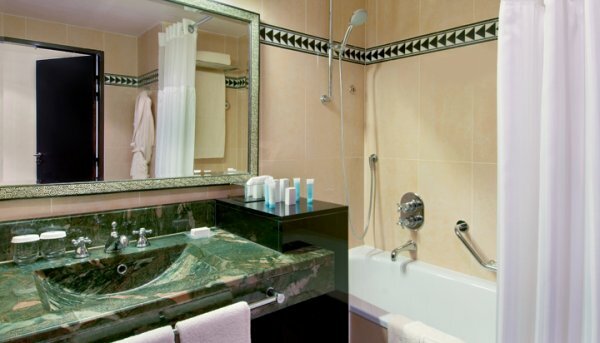 Relax after a busy day’s sight-seeing in your opulent marble bathroom, which features a bath and separate shower, or savour a delectable meal for two from the extensive Room Service menu. Enjoy high-speed internet access, complimentary access to the 400m² Spa, and an LCD TV with on-demand movies and video games. Extra touches include a snug bathrobe and slippers. Experience style and functionality in the Hilton Arc de Triomphe Paris hotel’s air conditioned King Executive Room, which is located on the hotel’s upper floors and includes access to the plush Executive Lounge with complimentary breakfast, refreshments and evening cocktails. The chic, comfortable 30m² King Executive room is fully furnished in Art Deco-style, and features a king-size bed, wired internet access, and a convenient work desk with adjustable lamp. Unwind with an on-demand movie in front of your LCD TV, or enjoy an exquisite meal from the fabulous Room Service menu, in the comfort of your fashionable, Art Deco accommodation. Choose a spacious Double Double Executive Room at the Hilton Arc de Triomphe Paris hotel, and enjoy the comfort of two luxurious queen-size beds. Located on the hotel’s upper floors, the Double Double Executive rooms offer Executive Lounge access with complimentary breakfast, refreshments and evening cocktails. The chic 30m² Double Double Executive rooms sleep up to four adults, and are fully furnished in Art Deco-style, with a convenient work desk with adjustable lamp and an LCD TV with on-demand movies and video games. Enjoy an exquisite meal from the fabulous Room Service menu, surf the internet or send emails with in-room high speed internet access, or simply unwind in your plush marble bathroom, which features a separate shower and bath. Upgrade to a 30m² King Executive Plus room at the Hilton Arc de Triomphe Paris hotel for exemplary comfort, style and functionality, as well as your own private balcony. 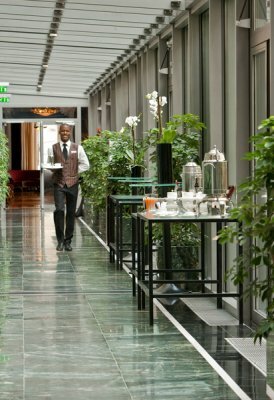 Situated on the upper floors of the Hilton Arc de Triomphe Paris hotel, the Executive Plus room offers guests Executive Lounge access with complimentary breakfast, all-day refreshments and evening cocktails, and features a wealth of amenities for your peace of mind. 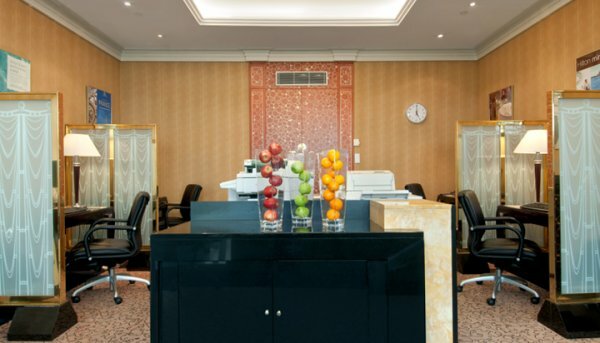 Catch up with work at the convenient desk with adjustable lamp, keep in touch with family, friends and colleagues with high speed internet access; or unwind with a light-bite or snack in the comfort of your luxurious, Art Deco-style accommodation. Upgrade to a spacious Executive Room at the Hilton Arc de Triomphe Paris hotel and enjoy access to the plush Executive Lounge, which offers a complimentary breakfast, all-day refreshments and evening cocktails, as well as a large screen television area and a stylish terrace with fabulous views of the Paris city streets. 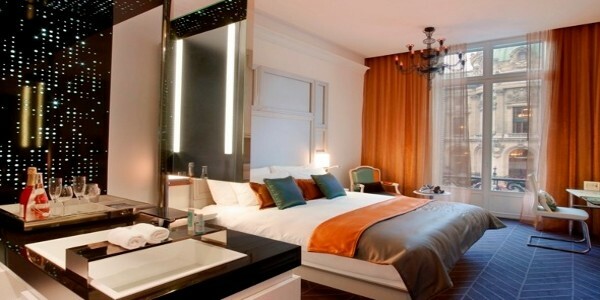 Situated in the upper floors of the Hilton Arc de Triomphe Paris hotel, the stylish King Executive Eiffel Room boasts a comfortable king-size bed and a chic Art Deco interior. Enjoy a fine French wine or an exquisite meal on your stunning private balcony, which offers exceptional views of the Andalusian Patio Gardens and the iconic Eiffel Tower, or unwind in front of an on-demand movie on your LCD TV. Stay in spacious, luxurious accommodation in the heart of the city in your plush King Terrace Suite at the Hilton Arc de Triomphe Paris hotel. The 45m² King Terrace Suite features a distinctive décor, with chic furnishings and fittings redolent of 1930s-era Art Deco Paris. Unwind with complimentary access to the wet area of the luxurious Spa Mosaïc, which also features an array of tranquil, beautifying treatments, or enjoy a mouth-watering meal and a glass of wine on your private terrace overlooking the city rooftops. Take advantage of the Executive Lounge access, which includes complimentary breakfast, all-day refreshments and evening cocktails. Enjoy luxurious Parisian hospitality in your 50m² King Deluxe Suite at the Hilton Arc de Triomphe Paris hotel, which includes Executive Lounge access with complimentary breakfast, all-day refreshments and evening cocktails. Unwind in the comfort of your spacious separate lounge area, relax in front of your 37” LCD TV with an on-demand movie or video game, or enjoy a mouth-watering meal from the Hilton Arc de Triomphe Paris hotel’s Room Service menu. Take advantage of the complimentary access to the Spa Mosaïc wet area after a long day’s sight-seeing, or simply retire to the comfort of your luxurious Hilton King size bed in your tastefully decorated Art Deco style room. Experience the ultimate in style and sophistication in your plush King Presidential Suite at the Hilton Arc de Triomphe Paris hotel. 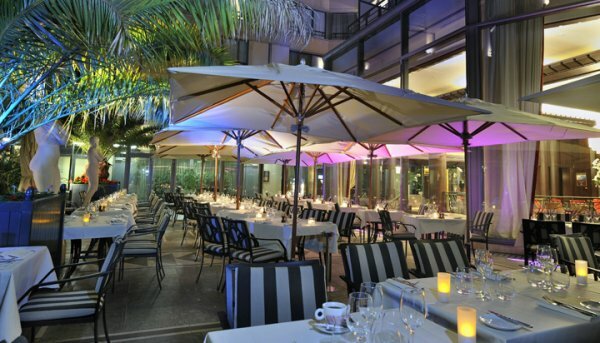 Savour Le Safran’s exquisite French cuisine on your private terrace, which boasts stunning views of the iconic Eiffel Tower and the hotel’s Andalusian Patio Gardens. Unwind in your opulent marble bathroom, take a dip in the Jacuzzi or Balneo air-jet tub, or simply retire to the comfort of your luxurious king-size bed. The King Presidential Suite consists of 75m² of chic, Art Deco-style space, with the option of two adjoining rooms for those seeking to accommodate extra guests. Stay in the Hilton Arc de Triomphe Paris hotel’s 60m² Ambassador Suite, which features spacious separate kitchen and lounge areas, plus a large private terrace with views of the Andalusian Patio gardens. Unwind in front of your 37” LCD TV with an on-demand movie or video game, or enjoy extra space for guests with the option of two additional connecting suites. Enjoy spacious accommodation in the heart of Paris in your 50m² Family Guest Room at the Hilton Arc de Triomphe Paris hotel. Enjoy the convenience of two connecting rooms, with a king bed in one, and double queen-size beds in the other, as well as two marble bathrooms and complimentary refreshments for you and your family on arrival. 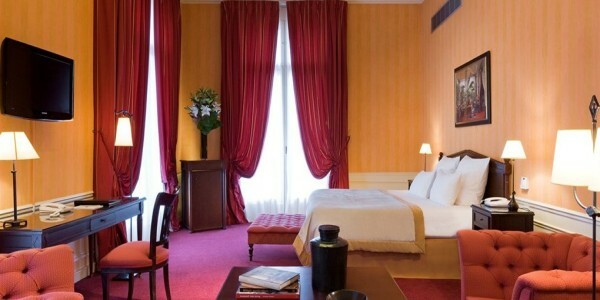 Capable of accommodating up to six guests, the air-conditioned Family Guest Room at the Hilton Arc De Triomphe Paris hotel features high speed internet access, as well as a 37 inch LCD TV with on-demand movies and video games. Stay in the stylish 37m² Hilton Arc de Triomphe Paris hotel and enjoy complimentary use of the Spa Mosaic wet area. Enjoy a three-course meal in your separate Art Deco-style lounge area, catch up with family, friends or colleagues with high speed internet access, or unwind in front of one of two LCD TVs with an on-demand movie or video game. Chill out after a day’s sight-seeing in one of your two marble bathrooms, catch up with business at the convenient work desk with adjustable lamp, or enjoy complimentary breakfast, refreshments or evening cocktails, with Executive Lounge access. Access to the Executive Lounge at the Hilton Arc de Triomphe Paris hotel is exclusively available to guests staying in Executive Rooms and Suites, and boasts a separate television area with a large screen LCD TV, as well as a plush wooden-decked terrace with fabulous views of the Paris city streets. 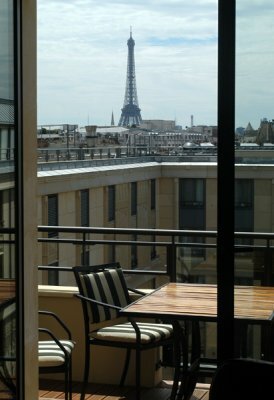 Unwind with a quiet drink and take in exquisite views of the Eiffel Tower, or simply enjoy the exclusive perks and privileges that come with Executive Lounge access, such as a complimentary breakfast, all-day refreshments and evening cocktails. 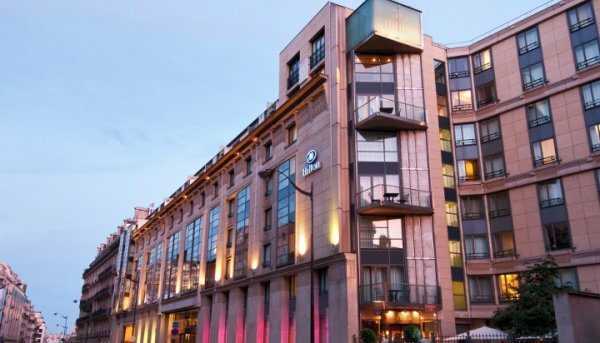 Venture out from your base at the Hilton Arc de Triomphe Paris hotel and undertake a pilgrimage of Parisian gastronomy in the undisputed epicenter of global culinary excellence. Savour rustic, home-style cassoulets; indulge with the rich, exquisite sauces of classic French cooking; or enjoy the delicate elements of nouvelle cuisine. It is almost impossible to eat badly in Paris. From the city’s renowned bistros and patisseries to Michelin-starred fine-dining establishments, a visit to Paris offers a taste of the divine, where master bakers and artisan chefs serve extraordinarily inventive offerings constructed with miraculous care and precision. 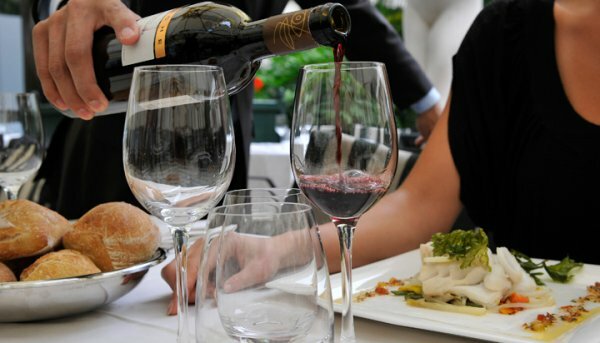 Parisian nightlife is famed throughout the world, with innumerable bars, bistros, cafes and nightclubs offering fine wines, boutique brand drinks, and inimitable Gallic joie de vivre in equal abundance. Check out hyper-chic upscale bars, enjoy some of the world’s hippest nightclubs, or simply unwind with a coffee or a cocktail at one of the fashionable Left Bank hang-outs made popular by exiled writers of the Lost Generation, such as Ernest Hemingway, James Joyce, F Scott Fitzgerald and Ezra Pound. 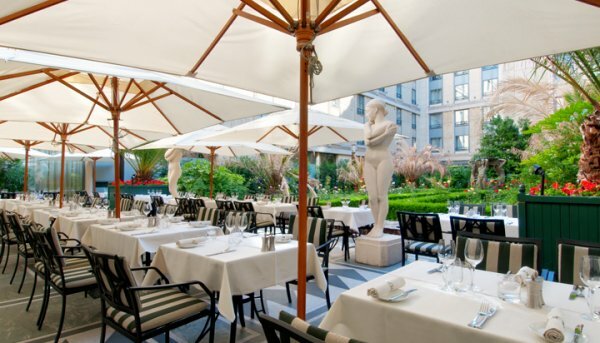 Dine alfresco at Le Safran, the Hilton Arc de Triomphe Paris hotel’s exquisite eatery, which features three sun-kissed terraces and a stunning Art Deco-style interior replete with black granite and velvet armchairs. Experience Le Safran’s flawless service and plush, ornate surroundings, and enjoy chef Philippe Daigneaux’s delectable cuisine, which epitomises the very best in Gallic flair and panache and showcases an impressive array of traditional and innovative Parisian cuisine. Savour the succulent duck breast, enjoy an exquisite steak tartare, or indulge with sumptuous fresh seafood cooked with a rich, classically-French sauce. Choose from a wide array of old and new-world bottles from the ingeniously compiled wine list, which features a distinct emphasis on quality French wine. 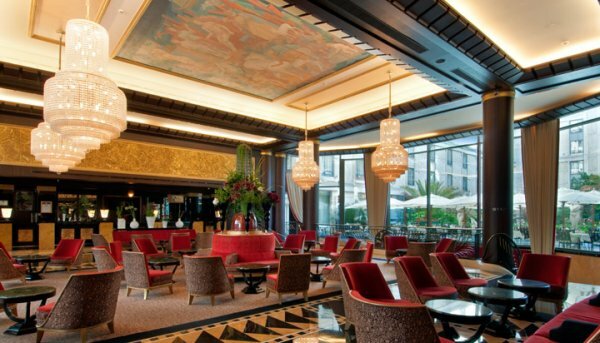 Unwind with a cocktail or a boutique brand drink in the fabulous Art Deco-style Purple Bar at the Hilton Arc de Triomphe Paris hotel. With exquisite décor, an eclectic clientele, and a friendly, vibrant ambience, the Purple Bar is one of the city’s hippest and most appealing night-spots. Rub shoulders with diplomats, international celebrities, locals and fellow guests beneath the gilded fluting and tasselled chandeliers of this chic Paris bar. Sip exquisite Long Purple cocktails in the retro cabana booths, or simply enjoy a beer or a glass of fine wine with stunning views of the rue de Courcelles. Dine in the comfort of your spacious Art Deco-style room at the Hilton Arc de Triomphe Paris hotel, with the mouth-watering, internationally-inspired room service menu. Choose from the sandwiches, salads and wraps, or plump for a delectable three-course meal from Le Safran, which features gorgeous classical French cuisine and sumptuous international favourites. 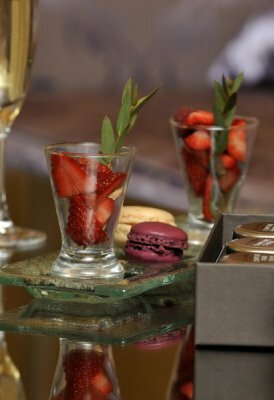 The Hilton Arc de Triomphe Paris hotel’s Room Service menu can also accommodate a variety of dietary requirements (given notice) and offer healthy and vegetarian dishes, as well as a special children’s menu.